NOAA broadcasts weather forecasts, weather charts and satellite images 24 hours a day on an HF frequency. When we're away from internet connections, we can tune our single side band (SSB) radio to these frequency and with special software on our PC, pick up these weather charts. 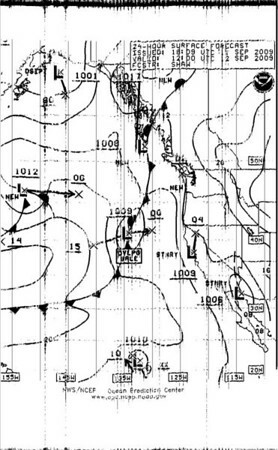 So it was that we pulled off the surface forecast below off the weatherfax. The important part of that fax is the words DVLPG GALE - developing gale. No thank you. We on Hello World are not brave nor proud. Our motto is Fugio Quod Vox ("run away and cry"). We originally planned on running into Coos Bay, OR where we also have some friends to visit, one of whom was struggling with an illness. But, as it turned out they closed the bar getting into Coos Bay so we would have been denied entrance by a very persnickety Coast Guard. So we chose Crescent City and came in. And happy we did. 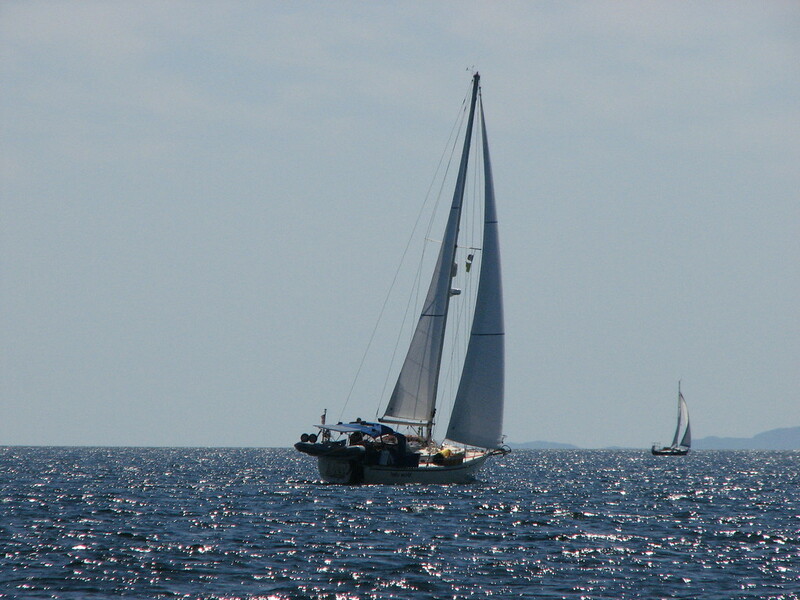 The next day, an 86 foot megayacht came in crying uncle. If an 86 foot boat is getting creamed, we want no part of it. After pulling into Crescent City, we learned of the passing of our friend in Coos Bay. So we're going to stay here an extra week and attend the life celebration for him this weekend. Which means we'll be landbound for the next week or so. We'll keep y'all updated on happenings. We're also planning on renting a car with some other boat folks and heading out to the redwoods. i don't heart big "L"
I'm sorry about your friend. Condolences. Sorry to hear about your friend and GLAD that you are safe and sound in Crescent City... a gale would have been pushing your luck (what luck?) given how many things have gone wrong... Smart choice. 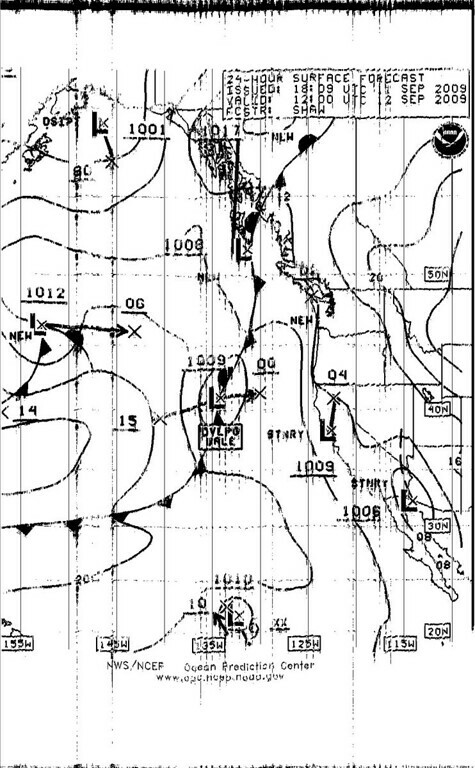 I'm impressed that you can make sense out of that wx fax... kinda looks like artwork. I'm so sorry to hear about your friend. Glad to hear you guys are safe!